Social media marketing is a new strategy for making a business successful. Facebook, Twitter, Instagram and several other social media platforms give you an opportunity to widen your business reach. Twitter, among them, is one of the major platforms to increase your site visibility and customer engagement. Recently, Twitter has announced an increase in number of characters, and Twitter users couldn’t be happier. Twitter had an earlier character limit set to 140 which has recently been doubled to 280. It is a giant step no doubt, and will have a lasting effect. Most of us have already experienced the change. This decision has tremendous potential in social media marketing in driving more customer engagement. How does it impact your business and visibility? Communication with followers is usually done through content, images or videos. Here, the emphasis is given more to the content because that’s what is first visible. Earlier, producing strong and powerful content within a restricted number of characters was difficult. One needed to use the vocabulary cautiously and write and rewrite several times. 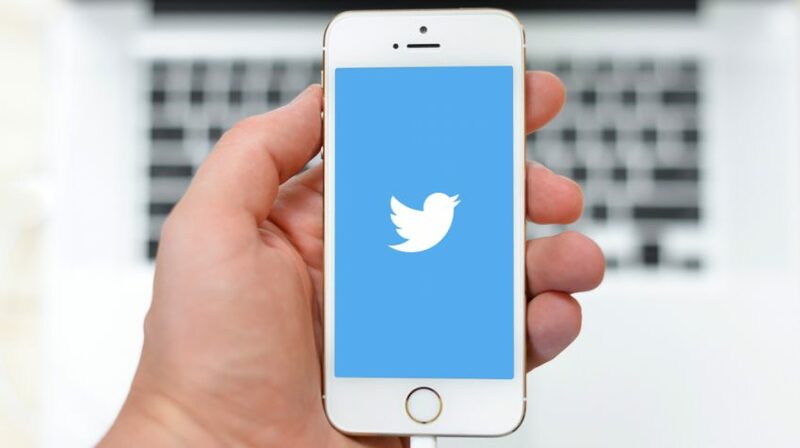 And in certain cases the tweets are either left incomplete or very limited, forcing the users to depend on other channels to share more information. This increased visibility has positive effects on business. Undoubtedly, the increased character limit has given the power to be more precise yet fully explain the subject matter. This has given the followers and customers the comfort ‘to be aware’! Whether you write in English or French or any other language that needs more characters to express ideas, this new feature has given a lot of freedom in creating content. Earlier it was difficult to deal with this issue which had a negative impact on business. Content marketing is not an easy job. It requires experience and sound knowledge to communicate the right idea. Content in a particular tweet should be sufficient to be able to gain more customer engagement. A complete tweet with all relevant information takes more than 140 characters. Failing to intrigue the reader would affect the response from followers and thereby downgrade the profit. Now creating content is easier without sacrificing the choice of words. Sometimes social media experts needed to revise their content to fit within the earlier limit of 140 characters. It resulted in abandoning the content without publishing. Then the process is repeated, which is, indeed, more time consuming. Loss of time means loss of business and a hit on productivity. Additionally, it impacts the growth of the organization and creates unnecessary frustration. We even end up writing multiple tweets on the same issue. Now that you have 280 characters, it is easier for you to compose short, crisp content without missing important points and repeating the same process. It will help you save time and utilize it in other productive work. And one does not need to publish additional content. We often receive queries, replies and responses from our followers and to reciprocate, the social media content manager needs to reply with proper information. In both cases, the parties had to face difficulties not being able to provide necessary information. Inevitably to deal with such situations, one tends to write more replies only adding more frustration. It is true for business organizations who manage sales and customer service through Twitter. An angry customer finds it annoying to write several tweets or replies to express the full scenario. As the character count has gone up, interaction with customers has become easier. After all, in a service industry customer interaction, appreciation and satisfaction are major factors. The business depends on these. The effect of ease of interaction with the customers will boost ratings, Retweets, Likes, and @mentions. To increase brand recognition, conversion rates, traffic and involvement, the role of social media marketingis extremely important. Learn to fully utilize the character limit extension for converting views and likes into profit with the help of 280 characters. Previously there was barely scope with 140 charaters to fully express thoughts in one language, let alone the use of multiple languages. But now you can use your skills to create content using more languages. Research shows that writing content in more languages helps you draw more readers, therefore, more likes, comments, and Retweets. Now you can expand your business internationally and reach different geographic regions where different languages are spoken. Use of more languages increases visibility because you get more readers of that specific language. Additionally, they need not translate every tweet to understand the content. According to Forbes, it’s all about the exchange of value with your followers, customers and readers. Now you can utilize this factor in generating more business. Add content with a short and interesting read followed by announcing special offers, discounts and quizzes. Boring and monotonous content fails to reach potential customers and affects the lead generation process. To reverse the negative effect, you need to ensure the viewers are engaged. Announcements of exhibitions, discounts, offers, quizzes and results are ways to gain success. You can add a short sentence and add information on discounts and special offers to draw more customers. Use the characters fully so you can spread more information in one tweet. In addition to more characters, you can use artistic expression with emoticons, phrases, quotes and symbolic characters. This will reduce the character count and give you an opportunity to use fewer characters and save the rest for further information. In addition to this, you should write in simple language yet generating interest among readers. In-depth knowledge of vocabulary and sense of humor will add value for existing readers. The more exciting and relevant content, the more views. Just play with your word power and experience huge appreciation from your followers and double the numbers of mentions and retweets. Studies show that small sentences are easy to read and have the potential to rank your response in top search results. Going ahead, you can add more sentence breaks and lines. Thanks to 280 character count, now you can experience a boost in business with the help of your content. Add more lines for ease of reading. Separate lines highlighting separate points to make your content more intelligible. Additionally, write point-wise, adding important hashtags and links in each line. This will increase visibility and number of Retweets. Content is your weapon to conquer the battle of social media marketing. A successful business is not just writing and publishing content. It’s also investing time and energy into researching. A well-read and excellent social media marketing manager has the power to uphold the company and offer services or assistance. To be able to maximize the benefits of increased character counts, one should gain a command of the language, learn about marketing trends, build a strategy and conduct thorough research. If you are responsible for handling the job, do not waste the potential effects of this benefit. Be consistent with your content and punctual about tweeting updates, publishing results of quizzes, etc. Interact with your followers and maintain a frequency of interaction. That’s how you can grow your business. More power to you!